Week 4 of the 2019 2019 LEC spring split is on. With a win over Misfits Gaming, Shalke 04 now sits alone in second. Splyce scored a key victory over SK Gaming as the two teams fight for a spot in the playoffs. 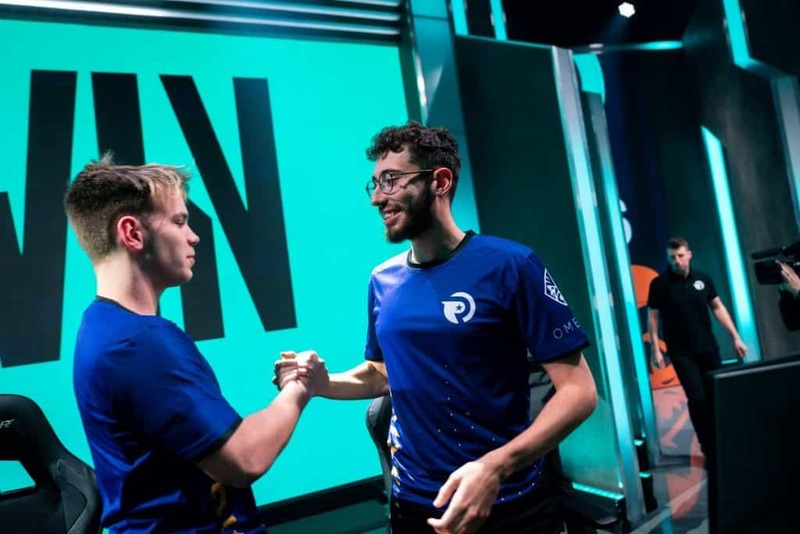 Origen is also back in contention following its victory over a still winless Rogue. Fnatic meanwhile is back in the win column, having defeated LEC newcomers exceL. G2 Esports continues its perfect run in spring, now making Vitality its latest victim. The opener had plenty in store already, with Misfits’ Paul “sOAZ” Boyer giving Sylas its 2019 LEC spring split debut and Shalke 04 support Lee “IgNar” Dong-geun picking his signature Blitzcrank against his former team. Jonas “Memento” Elmarghichi (Sejuani) and Felix “Abbedagge” Braun (Akali) attempted a dive on Fabian “Febiven” Diepstraten (Lissandra), but the Misfits mid laner made good use of his mobility and punished Shalke’s overly aggressive play with a kill on Abbedagge for the first blood. Kang “GorillA” Beom-hyeon (Tahm Kench) used his Ultimate to bring Steven “Hans Sama” Liv (Varus) along as the Misfits AD carry took down Memento to make it two kills. Despite the early misplay, S04 found its way back with an Infernal drake steal followed by four kills. Although Misfits secured the first turret bonus gold in the mid lane, Shalke was the team ahead in gold as the team worked off pickoffs created by IgNar’s pulls. Abbedagge found sOAZ and Nubar “Maxlore” Sarafian (Lee Sin) as S04 secured the two kills to set up an uncontested Baron. Even with a good pick on IgNar, MSF found itself pressured from all sides as Shalke used its Baron buff to expose the three inhibitors. Not even the man advantage helped Misfits as Shalke went for the all-in to instantly burst down their opponents. With four kills, the summer split runner-ups made their way to the Nexus and closed the week’s opener in just over 26 minutes. First blood went for Splyce after its bottom lane duo Kasper “Kobbe” Kobberup (Lucian) and Tore “Norskeren” Eilertsen (Pyke) won a two versus two trade against SK’s Juš “Crownshot” Marušič (Cassiopeia) and Han “Dreams” Min-kook (Thresh), with Splyce’s support taking down the SK support for the kill. While SPY continued to find kills, SK Gaming had a better control over the objectives, picking up two elemental buffs and taking down the first turret of the game in the bottom lane following a shutdown onto Norskeren. SK showed its pickoff potential with two kills in the mid lane to set up a Baron execution, quickly securing the buff and pushing its lead to five turrets. Splyce successfully stalled as SK couldn’t break into their opponent’s base despite having an exposed mid lane inhibitor. As SK Gaming tried to control the Baron pit for the second buff, SPY’s mid laner Marek “Humanoid” Brázda (Le Blanc) found his way into SK’s backline to take down Crownshot. Splyce followed that up with two more kills to create the space for the Baron execution. The powerplay opened SK’s bottom lane inhibitor. Splyce also secured the Elder dragon, but SK found a good fight to take the buff away from three players. As the super minions made their way to the Nexus turrets, SK took its chance and went for Baron. Although the team did secure the buff, Splyce forced a fight and walked away with four kills as its minions went for SK’s Nexus. SPY completed the ace inside their opponent’s base and finally closed out the longest game of the split after 46 minutes. Barney “Alphari” Morris (Urgot) took down Rogue’s top laner Kim “Profit” Jun-hyung (Sylas) 11 minutes into the game to set the mark for the longest first blood of the 2019 LEC spring split. Origen quickly built a solid gold lead, securing two Mountain drakes as well as the first turret of the game. As OG took down the three outer towers on Rogue’s side, the 2019 LEC spring split returnees secured an early Baron buff only 23 minutes in. Origen’s first powerplay added three more turrets to the count, as Rogue found its base down to the inhibitor turrets. Playing it safe, OG decided to fall back and wait for the second Baron. 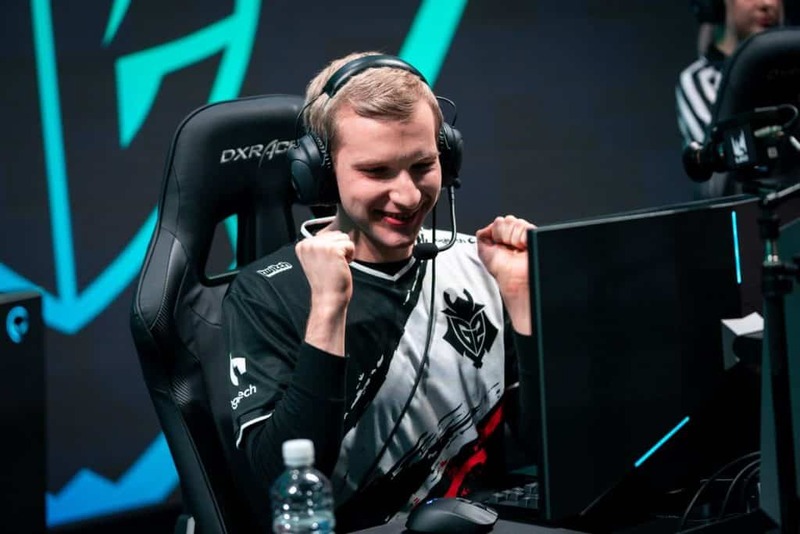 Erlend “Nukeduck” Holm (Syndra) picked off Mateusz “Kikis” Szkudlarek (Kha’Zix) at the exact same moment as the second Baron spawned 28 minutes in, immediately bursting down Rogue’s jungler to essentially give OG a free objective with no Smite on the other side. OG went for the final push, picking up four more kills to close out the game after 31 minutes. 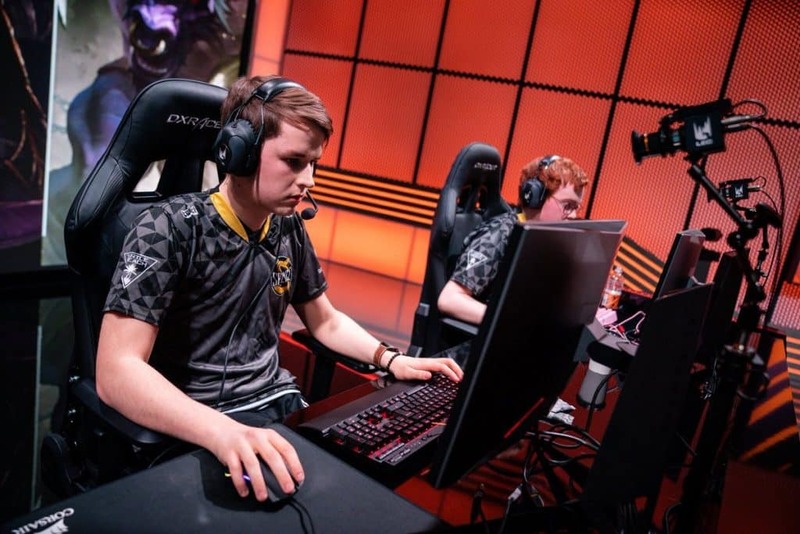 As Marc “Caedrel” Lamont (Aatrox) and Mads “Broxah” Brock Pedersen (Lee Sin) contested the Rift Scuttler, Fnatic’s support Zdravets “Hylissang” Galabov (Rakan) used his team’s river priority to roam and join his jungler. Mid laner Tim “Nemesis” Lipovšek (Syndra) also collapsed onto the exceL jungler and picked up the kill for the first blood. 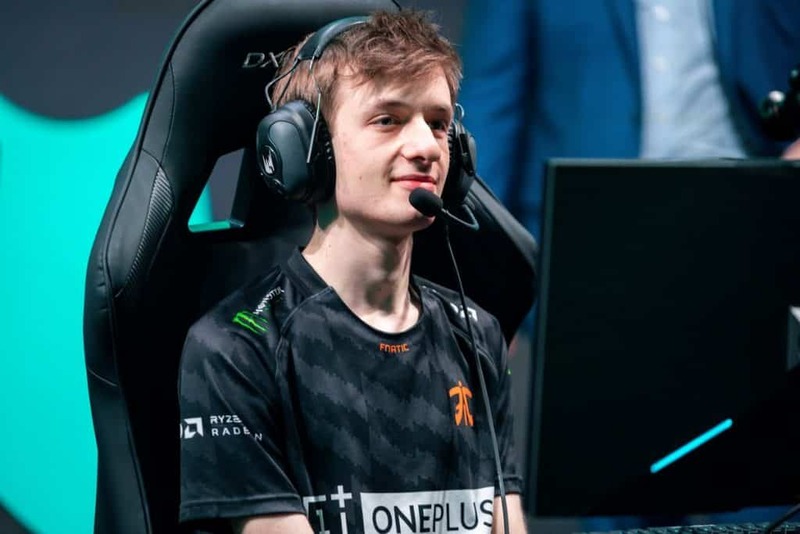 Fnatic dominated the three lanes, with Martin “Rekkles” Larsson (Xayah) and Hylissang taking the gold from three plates in the bottom lane before destroying the turret for the bonus gold. As FNC destroyed the three outer towers and added two drakes, exceL could not find a way to respond anywhere around the map. Fnatic made its way to the mid lane inhibitor and left it exposed only 21 minutes into the game. FNC finally went for Baron at the 24 minute mark, securing the objective without trouble. In controlled fashion, Fnatic slowly set the siege on exceL’s base, taking down the inhibitors one by one before finally moving to the Nexus itself. The reigning European champions did not even need to grab another kill and finished the game after 28 minutes. Vitality punished Luka “Perkz” Perkovic’s (Ezreal) aggressiveness with an early gank by Lee “Mowgli” Jae-ha (Olaf). Using the power from a Lucian-Braum combo, VIT quickly stunned the G2 AD carry as Mowgli finished off the play with a kill for the first blood. While Vitality’s bottom lane did a good job piling up resources, G2’s primary carries Rasmus “Caps” Winther (Akali) and more importantly Marcin “Jankos” Jankowski (Karthus) picked up some important kills off VIT’s mistakes. Less than 20 minutes in, G2 had already turned the game around and was knocking at the inhibitor turrets as their opponents could do nothing against the burst from Caps and Jankos. Following a fight around the Dragon pit, G2 secured three kills and a second Infernal buff on top of it, setting up for a Baron execution 24 minutes into the game. 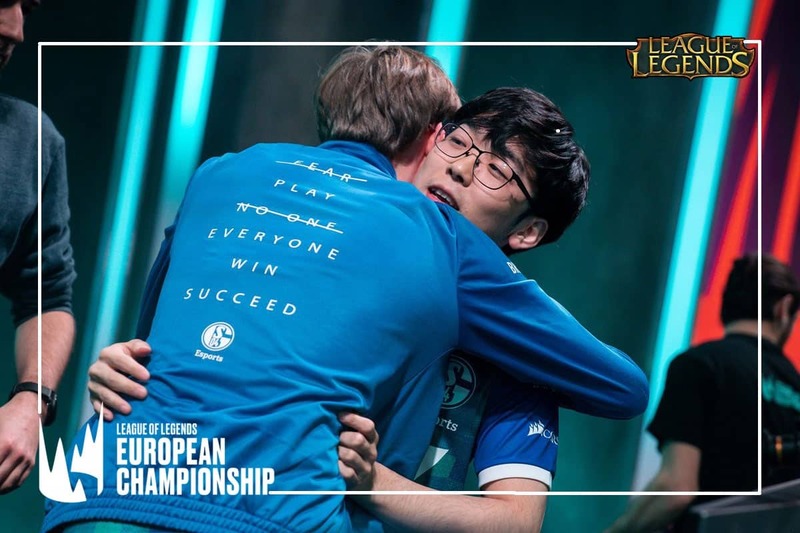 In a single push, the three inhibitors went down as Vitality forced one final fight to defend its base, getting a shutdown on Caps as a consolation prize while G2 scored an ace and destroyed the Nexus after 27 minutes of play at the 2019 LEC spring split.